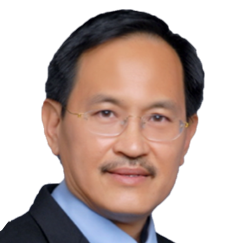 Mr Tan Boon Khai is the Chief Executive of Singapore Land Authority (SLA), whose mission is to optimise land resources for the social and economic development of Singapore. As the national land registration authority in Singapore, SLA is responsible for the maintenance of the national land survey system. SLA spearheads the use of geospatial information through a national collaborative environment to foster innovation, knowledge and value creation for the Government, enterprises and community. Prior to joining SLA, Mr Tan was with CapitaLand Limited, one of Asias largest real estate company. From 2011 to 2014, he was Regional General Manager (Singapore and Malaysia) for The Ascott Limited, the worlds largest serviced apartment owner and operator. 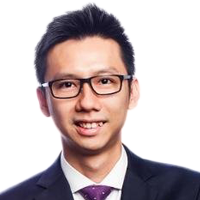 He is a lawyer by training and was previously with the Singapore Legal Service. Mr Tan holds a Bachelor of Law with First Class Honours from the University of Nottingham, United Kingdom. 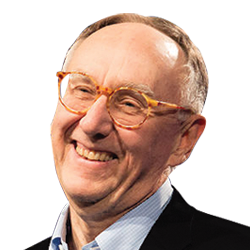 Jack Dangermond is the unrivaled king of GIS technology, the specialized software used for creating digital maps. He founded his company, Environmental Systems Research Institute (Esri), in 1969. Dangermond founded ESRI to perform land use analysis; however, its focus evolved into GIS software development, highlighted by the release of ARC/INFO in the early 1980s; the development and marketing of ARC/INFO positioned ESRI with the dominant market share among GIS software developers. Today ESRI is the largest GIS software developer in the world and its flagship product, ArcGIS, traces its heritage to Dangermond's initial efforts in developing ARC/INFO. Esri currently dominates the industry, with over 40% of global GIS market share and more than $1 billion in annual revenue. Anupam leads Brand Engagement, Advocacy and Evangelism for Twitter in APAC in his role leading Tech & B2B and is responsible for getting more brands to use Twitter more. He was the first revenue resource for Twitter in India in 2014 and led it to become one of the fastest growing markets for Twitter before taking up his current regional role. In his last job, he was Head, Digital Marketing & eCommerce at MTS, India's leading CDMA telecom operator, where he owned the digital marketing, social media, content and ecommerce portfolio. Prior to MTS, he launched Blyk – a youth mobile messaging media platform – in India in partnership with Aircel; besides starting his first entrepreneurial venture EveryMedia – now India's largest movie marketing company. 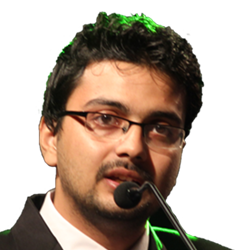 In 2012, The Economic Times selected Anupam as 1 of 28 Young Business Leaders as part of its ETYL initiative. He has also received numerous other industry awards & accolades for his work over the years, most notably for the digital programs he initiated at MTS. A digital native, Anupam is passionate about the medium and has been a prominent evangelist at various industry forums and platforms, besides being a regular speaker at various business schools across the country. As a Creative Director, Entrepreneur and Innovation leader, Alan has racked over a decade of experience in creative and digital advertising campaign. In more than 13 years of experience, Alan has created award-winning integrated campaigns, platforms and solutions for a wide range of industries including automotive, beauty, technology, aviation and finance. With a background in digital design and marketing, He also involve in startup scene, leading his team winning few Hackathons. During his free time Alan also provide mentorship to local startup companies. Clinton Libbey, Head of Business Development for Google Maps, APAC at Google, has been in the mapping industry for approximately 25 years. He graduated from the University of New Hampshire and subsequently helped create the first global satellite imagery browsing system. Later he led the creation of a multi-hazard monitoring system for the insurance and banking industries and helped a range of industries take advantage of the emerging location intelligence industry. Clinton joined Google in 2010 and is responsible for strategic business development in the Asia Pacific region. In his spare time, he plays the drums, paints, and enjoys a wide range of extreme sports. Garick is the Executive Director for Consumer Insights in Nielsen Singapore. His vertical experience cuts across banking, FMCG, government, hospitality, retail and technology. 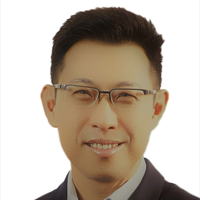 Prior to Nielsen, Garick is the Regional Insights Director for Asia and General Manager for Singapore at Isentia (An ASX 200 Media Intelligence Company), managing research capabilities across Asia and the business operations for Singapore. He was the Research & Insights Director for Southeast Asia at Isentia Brandtology for a short stint before. Before Isentia, Garick headed the Market & Consumer Insights function for BlackBerry in Asia Pacific. He managed 10 countries across the region, a multimillion dollar annual budget and a team of Insights Managers. He had also undertaken additional strategic role at global level, where he was based in New York. His research experience cuts across qualitative to quantitative methods, local to global initiatives and consumer to enterprise studies. 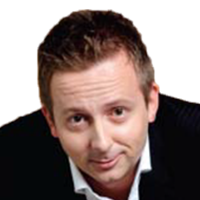 In his early days, Garick had worked in advertising and marketing communications roles in Australia. And before joining the industry, he was in academia where he taught undergraduate marketing units and undertook and published scholarly research on consumer behaviour, ethnocentrism, country-of-origin and business ethics. Recognised by the industry, Garick has won awards and has often been invited be a speaker, panellist, award judge and guest lecturer. He is an Associate Fellow with the Institute on Asian Consumer Insight at Nanyang Technological University. He is also a reviewer to several journal publications and conferences. In the community domain, he is a District Councillor for North West Community Development Council in Singapore. Garick holds a Master of Philosophy (Marketing) and has also completed a Harvard Leadership program. 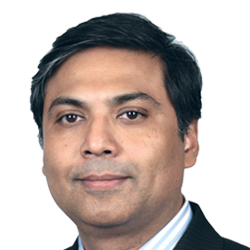 Anshul is Regional Director – Innovation & Education Programs (Asia), Corporate Affairs Director (SE Asia) at Intel based in Singapore. He is business leader with 23+ years of worldwide experience on education & skills tech sector, and passionate about innovation for sustainable & inclusive development. 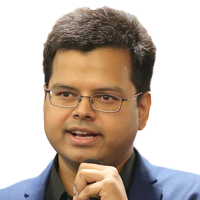 In Intel Asia, Anshul manages corporate CSR and Intel Foundation's programs on Education, STEM and innovation for democratizing innovations tech skills for next generation in partnership with governments, academia & CSO. He is expert in social impact program co-creation by fostering scale partnerships, designing biz models for shared value. He is adviser to various social impact organizations, multilaterals & startups. He lives in Singapore and travels globally for speaking & advising on education & STEM transformation, youth empowerment, skills & jobs for future, AI for SDG. He is speaker in global forums like UNDP Youth Summit, ADB International Skills Forum, Korea Science & Creativity Festival, and Maker Faire. Besides sitting in multiple government committees in region for education & skills reform, he judges MIT Initiative of Digital Economy's 'Inclusive Innovation Challenge' that aims to reinvent the future of work. He is UNDP Asia's first regional Youth CoLab champion from private sector for promoting youth entrepreneurship. He is alumni of University of Oxford - Oxford Advance Management & Leadership Program. He holds MIT Sloan School of Management certificates on "Artificial Intelligence – Implications for Business Strategy" with MIT CSAIL (Computer Science & Artificial Intelligence Lab) and on "Shaping the future of work" with MIT IWER (Institute for Work and Employment Research). He is Post Graduate in Management from IRMA (Institute of Rural Management) India. He is member of SID (Singapore Institute of Directors) and 'The Future If' group, a global community of business leaders & futurists. Mr Rinkema is Microsoft's Asia regional lead for competition and innovation law and policy, responsible for antitrust compliance, government investigations and litigation, policy development, and outreach relating to competition law and emerging AI and "big data" legal and policy issues in the region. Prior to joining Microsoft, Mr. Rinkema was an attorney in the antitrust group at Orrick, Herrington & Sutcliffe LLP in Washington, DC, where he advised technology clients on competition and IP matters in various jurisdictions around the world. He is a 2004 graduate of the University of Pennsylvania Law School, where he was a James Wilson Scholar and Executive Articles Editor of the University of Pennsylvania Journal of International Economic Law. 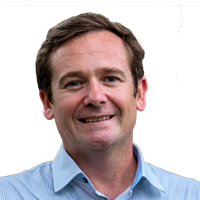 Alistair has been a Spatial Consultant at Jacobs’ Perth office since March 2001. 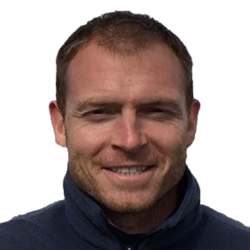 Possessing extensive experience in ensuring the development and implementation of a wide range of technical business solutions, Alistair enjoys working with clients to help solve problems. He is particularly interested and skilled in the development of innovative and sustainable solutions - first analysing existing processes and understanding where improvements need to be made, and then looking at what technical solutions can be put in place to achieve a positive outcome for the client. While Alistair’s background is primarily in the area of GIS and Spatial technology, he also has a broad understanding of the wider IT environment that allows him to look for solutions outside of this specialist area. Alistair now undertakes a Global role within the Jacobs Business overseeing the Geospatial services and Data Science technology areas. Nirmalyo is an entrepreneur by heart and mind, he is constantly looking to try out something different. He has passion to provide solutions, build networks and really understand the human psyche and relationship complexities is his interest area. With a track record of developing and executing strategy to drive earnings and service delivery within start-up and blue-chip businesses. With extensive international experience, crucial expertise includes: delivering operational capability across individuals, processes and technologies; leading business development activity and contract negotiations to generate $multi-million revenue streams; leading multiple teams in both the matrix and direct management environments; and managing relationships at CXO level with clients, suppliers and strategic partners. He was the Executive Director for India and Singapore business for a USD 22B Workforce management organisation and is currently Founder / CEO of Aeronube Technology and is also Head of East / Strategic Advisor of The Dialogue which is a think tank organization to drive a constructive and balanced story on development problems and policies in India. Aeronube is a result driven specialist IT Organization with Extended Sector experience and knowledge in IT Staffing / Managed Service & Software Development providing end to end IT services and solutions to various Fortune 500 clients. 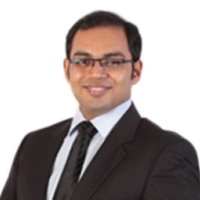 Gauraav is a marketing professional and a keen technology enthusiast. At QualityKiosk, he leads the marketing function and drives strategic initiatives to move the organization into the next orbit of growth. Gauraav specializes in building marketing teams through strategic interventions in areas of people, process, and technology as Gauraav believes technology is an enabler to bridge the gap between brands and consumers. Prior to QualityKiosk, Gauraav has built marketing teams for EXILANT Technologies, been a techno-functional consultant in the healthcare space and has interned with an advertising agency. Gauraav's expertise lies in brand strategy, creative ideation, content strategy, performance marketing, analyst & public relations and market research. He holds a dual major in Marketing & Strategy from the Indian Institute of Management, Rohtak and a mechanical engineering degree from the National Institute of Technology, Silchar. Gauraav is an active participant of Toastmasters International and has been awarded the Distinguished Toastmaster Award by Toastmasters International in 2015. Gauraav's passions include motorcycling, scuba diving, travelling, public speaking, corporate training, reading and theatre (performing). 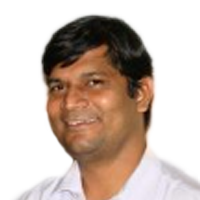 Pankaj is a digital & cloud evangelist & a thought leader. 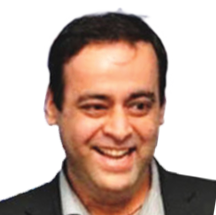 Pankaj is based out of Singapore and he currently leads Elastic's partnerships team in APAC. Prior to Elastic, Pankaj worked with Google for over 7.5 years where in he lead different teams including Google Cloud Platform Partnerships for APAC, Google Analytics & Marketing Platform team in SE Asia & he also lead Google Maps business across Asia. Before that Pankaj worked as a Product Manager with Nokia to run their location & maps platform in APAC. Pankaj also with India's leading Telco 'Airtel' for over 7 years wherein he served as a leader for their different businesses including DGM (Deputy General Manager) - New Product Development & National Head - Sales & Distribution. 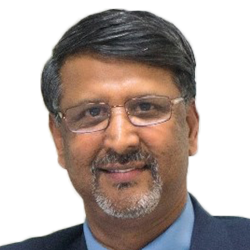 Kaushik Chakraborty has more than 28 years of experience holding senior management positions in international sales and business development across multiple industries including government, defense and emergency services, utilities, transportation, and geospatial. He joined Bentley in 2015 and is focused on growing Bentley's breadth of geospatial and engineering solutions to accelerate project delivery and improve asset performance for the infrastructure that sustains our economy and our environment. 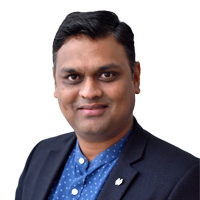 Prior to joining Bentley, Kaushik was Vice President at the Hexagon Group and served in leadership roles at both Intergraph and Leica Geosystems in the Asia Pacific and EMEA regions. 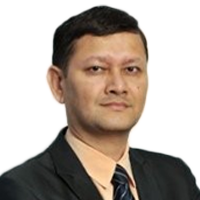 Kaushik holds a Master's Degree in Electrical engineering and has earned certificates in management and leadership. Steffen Endler is Senior Vice President and Head of the Siemens Digitalization Hub in Singapore. Launched in July 2017, the Singapore Hub is Siemens’ first fully integrated digital hub and brings together experts with customer specific engineering domain and digital know-how, aiming to co-create innovative digital solutions for urban infrastructure, sustainable energy and advanced manufacturing and to help companies transform their business and take the leap into the digital age. Steffen has more than 18 years of experience in strategy as well as business effectiveness and fosters a keen interest for cutting-edge multimedia interactive showcases. Coming to Singapore in July 2006, he led the business development and government relations for Siemens in the country before his responsibilities were successively enlarged to the Asean region in 2009 to include strategy, corporate sustainability, key account management and in 2014 he took over also responsibility for operational excellence. Between 2011 and 2017, he furthermore was the appointed Siemens City Account Manager for Singapore. In July 2013, Mr. Endler was appointed by Minister for Communication and Information of Singapore as a member of the InfoComm Media Masterplan Working Committee on Sectoral Transformation. In 2010, he provided extensive conceptual advice on “Growth from Sustainable Urban Solutions” to Sub-Committee 1 of the Economics Strategies Committee of the Singaporean government. Mr. Endler represents Siemens in the Industrialist committee of Singapore International Chamber of Commerce. Prior to his assignment to Singapore, Steffen Endler worked with Siemens Management Consulting (SMC) in projects for various Siemens divisions and local companies in 18 countries throughout Europe and Asia. He has been part of SMC’s innovation, benchmarking and finance practices. 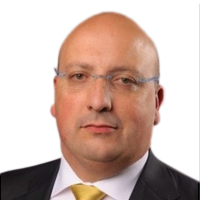 Before joining Siemens in 2000, Mr Endler gathered experiences in the German Automotive industry, Strategy Consulting, as well as in a global Mining firm based in Johannesburg, South Africa. Mr. Endler holds a German joint Masters degree in Management and Civil Engineering from Dresden University of Technology, with Innovation & Technology Management as a major field of study. Natalie is Digital Marketing Director of Timetech, the first blockchain-based time exchange for social good. 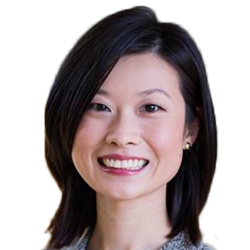 Based in Singapore, she is facilitating the company's upcoming ICO and manages the marketing team of Timetech's gensis platform, Hourvillage, a peer-to-peer timesharing marketplace scheduled to launch in Q4 this year. She is passionate about social impact and Corporate Social Responsibility, forging partnerships with international organisations to integrate corporate volunteering with employee engagement. She also led creative development of an online game for kids which enabled young people to support real social impact projects around the world. With more than 20 years of experience, Faheem Khan serves as the vice-president of business development for Leica Geosystems Geomatics Division. In this role, he oversees global strategy for the development of the High Definition Surveying (HDS) solution portfolio, leads the Software Product Management organization and manages the global partner program. 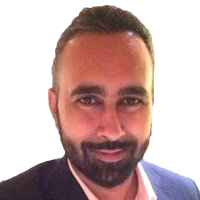 Khan has been with Leica Geosystems since 2005, filling various roles in sales and segment management where he was responsible for channel management, business development, marketing, and service and support operations. Prior to joining Leica Geosystems, Khan held management positions in technology and software firms, such as Esri and wcities. Khan holds a Bachelor of Science in Geo-informatics from the Hong Kong PolyU. He is a member of the SPAR International Advisory Board. Cliff Lim is currently the Chief Operating Officer at blu. He oversees the development of the company's internal processes and key strategic projects across all business functions. Most notably, he spearheaded the company's involvement in the Government's Federated Locker project and growth to one of the largest self-collection networks in Singapore. Prior to joining blu, Cliff worked at JP Morgan Chase specialising in Capital Advisory for UHNW clients. Fuad S Salleh is a Vice President of the Iskandar Regional Development Authority (IRDA) and an Engineer. 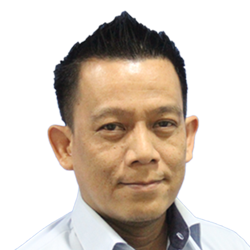 He began his journey with IRDA in 2007 during Iskandar Malaysia’s formative years as the Assistant Vice President for the Business Process Re- engineering Unit in IRDA. Throughout his journey with IRDA as the body to plan, promote and facilitate the growth of the Iskandar Malaysia economic region, Fuad has worked across several divisions throughout IRDA which includes the Economic and Investment, Programme Management Office and Corporate Performance Management prior to his current tenure in the Planning and Compliance Division. His experience working across many divisions overseeing the many facets of the Iskandar Malaysia development enabled him to promote Iskandar Malaysia to be included in several United Nations Industrial Development Organization (UNIDO) and Japan International Cooperation Agency (JICA) programmes and network of Eco-Cities. Prior to joining IRDA, Fuad has worked in several multi-national corporations specializing in re-engineering and technology transfer projects after he graduated from the University of Pittsburgh in the USA. Jagan leads the Data science team for Machine learning at Grab. He is also the data science lead for the Geo group, which builds AI and ML based models for Maps, POIs, navigation and travel time estimations. 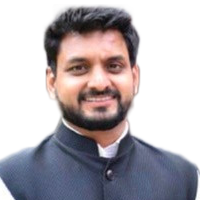 Prior to joining Grab, Jagan was a research scientist and post-doctoral researcher at the Advanced Digital Sciences Center (ADSC, a research unit of University of Illinois Urbana Champaign in Singapore) in the "semantic video analysis" and "multi-modal analysis" research groups. He received his PhD from Ecole Polytechnique Federale de Lausanne (EPFL), Switzerland in 2012. 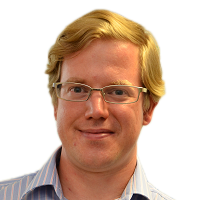 His PhD research was on Bayesian graphical models, inference techniques and their applications to large scale video analysis and visual surveillance. The prototypes he developed for video surveillance were successfully tested in several busy metro stations in Paris, Rome and Torino, and commercialized later. Jagan has co-authored more than 30 articles that were published in top-tier computer vision and pattern recognition conferences and journals. He continues to serves as a technical program committee member for several top-tier conferences in computer vision and machine learning and as reviewer for several premier IEEE journals. Dr. Hannes Kruppa is with HERE Technologies where he works as a Director of R&D. Throughout his career, he has been working on Computer Vision, Machine Learning, Automated 3D Mapping, Local Search, Recommender Systems, the Internet of Everything and many other topics resulting in multiple publications, patents and software systems. He holds a PhD in Computer Science from ETH Zurich. 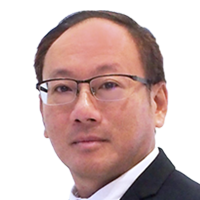 Quah Beng Chieh is Head of Marketing at FARO Asia Pacific (headquartered in Singapore). He spearheads the marketing function across Asia Pacific (including regional offices in China, India and Japan), with responsibilities in marketing, communications, public relations, product marketing and market development. 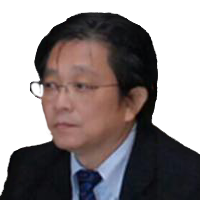 Mr. Quah has an extensive background in marketing and branding high technology products. Prior to joining FARO, he held various marketing management positions in product marketing, regional marketing, business development, and channel marketing with Hypertherm Asia, Creative Technology, Sony Marketing Asia-Pacific, and Hexon Technology. Mr. Quah has a Bachelor in Mechanical and Production Engineering from Nanyang Technological University (Singapore). 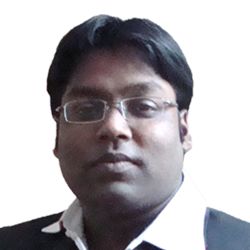 Dhaval is a serial entrepreneur and a digital marketing leader. He is an expert in brand-building and go-to-market strategy. He has worked with brands such as Bajaj, Amazon, Axis Bank and Star Plus to name a few. His most recent venture, Smarthome NX is a discovery platform for homeowners to find smart, connected solutions to live a better life at home. Alongside his venture, he also takes up integrated marketing consulting assignments and is active in the world of academia as a faculty and trainer. 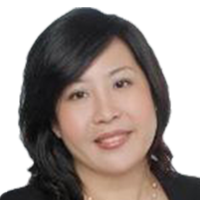 Zoe Zhang is an experienced business development manager with a history of working cross culture in Asia Pacific. After 7 years in Esri, Zoe finally convinced herself that she is qualified to be called a Woman in GIS. She is proudly talking about the power of location wherever she goes: at work, in front of clients, at her MBA class and to her engineer husband. 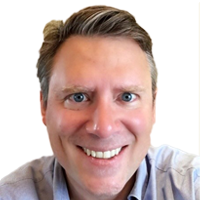 Steve is regionally responsible for creating and executing on all sales, strategy and go-to-market efforts for the SAP Analytics portfolio including enterprise BI, agile visualization, advanced analytics and the enterprise performance management. In Addition, Steve also heads up the Leonardo Innovation team working with customers, partners and analysts to strengthen relationships and drive customer-centered innovation. Challenging organizations to embrace analytics to find new ways to make and manage business decisions, take new products and services to market and better understand and serve their customers. Steve joined SAP in January 2010 and has 18+ years of experience in the enterprise software business, focusing in the area of Analytics. 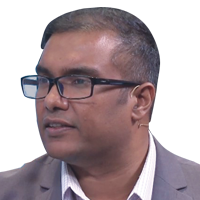 Prior to joining SAP Asia, he spent 5 years at SAP Africa in the Analytics Business - 2 years at Microsoft running the Dynamics Business and 3 years at Sybase South Africa working in their Business Intelligence and Database Division. Tyler is currently the Managing Director of Foursquare Asia. He has been at Foursquare since 2015 and has overseen partnerships, strategy, and execution across Foursquare’s advertising, measurement, and enterprising licensing businesses. As the Managing Director, APAC, Tyler leads new business, partner management, and strategic partnerships across SEA, Japan, Korea, and China with partners such as Samsung, WeChat, Naver and Grab. Prior to Foursquare, Tyler worked at The Exchange Lab, Varick Media Management, and Datran Media (now Pulsepoint.) Tyler is originally from the US and currently resides in Singapore. 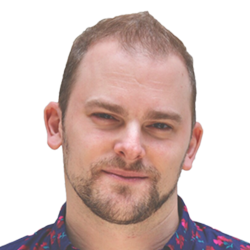 Dr. Justin Dauwels is an Associate Professor of the School of Electrical and Electronic Engineering at the Nanyang Technological University (NTU) in Singapore. He also serves as Deputy Director of the ST Engineering – NTU corporate lab, which comprises 100+ PhD students, research staff and engineers, developing novel autonomous systems for airport operations and transportation. His research interests are in data analytics with applications to intelligent transportation systems, and autonomous systems. He obtained his PhD degree in electrical engineering at the Swiss Polytechnical Institute of Technology (ETH) in Zurich in December 2005. Moreover, he was a postdoctoral fellow at the RIKEN Brain Science Institute (2006-2007) and a research scientist at the Massachusetts Institute of Technology (2008-2010). 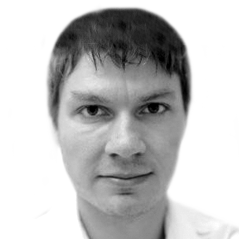 He has been a JSPS postdoctoral fellow (2007), a BAEF fellow (2008), a Henri-Benedictus Fellow of the King Baudouin Foundation (2008), and a JSPS invited fellow (2010, 2011). 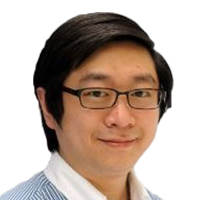 His research on intelligent transportation systems has been featured by the BBC, Straits Times, Lianhe Zaobao, Channel 5, and numerous technology websites. His research team has won several best paper awards at international conferences. Besides his academic efforts, the team of Dr. Justin Dauwels also collaborates intensely with local start-ups, SMEs, and agencies, in addition to MNCs, in the field of data-driven transportation and logistics. 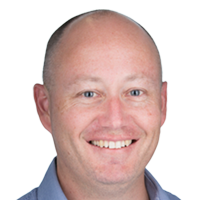 John Whitehead is the Director of Sales and Distribution, APAC, for Trimble's Geospatial Division. He works with Trimble's customers and distribution partners delivering geospatial solutions utilizing surveying, mapping, and spatial imaging technologies. Prior to Trimble, John worked for the Lincoln Institute of Land Policy and worked throughout Asia as a consultant in the field of land management and spatial technology. 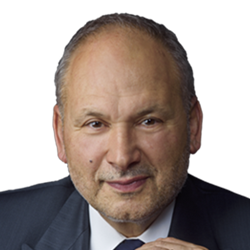 He holds a Master of International Business from the Fletcher School of Law & Diplomacy at Tufts University. Prasenjit has around two and half decades of corporate experience on the business side – spanning across several multinationals in India and abroad. 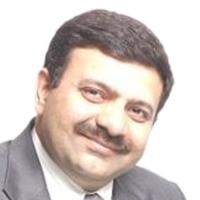 An accomplished and dynamic Strategic Marketing, Strategy, M&A specialist - he is the evangelist of Integrated Strategic Marketing covering a wide spectrum of industry sectors including financials, telecom, manufacturing, information technology and other verticals. 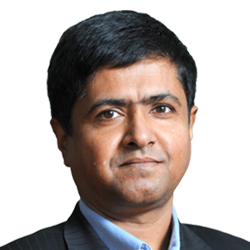 He is a Mentor to NASSCOM’s 10,000 Start-ups program, SME Forum across India and by other VCs / funding agencies. He is a Governing Body member of IFEEL institute and Balaji Institute of Management, Industry Advisor to Vidyalankar group of Institutions, a Visiting Faculty Member to the CEO School of Management, and was member of the selection panel of multiple IIMs & IIFT. He is the winner of several industry awards like “Most Iconic Marketing Professional”, “Most Influential Marketing Technology Leader”, “CMO of the Year”, “Enterprise IT CMO”, “Asia’s Top 50 Brand Leaders” amongst others. He is a regular speaker at International symposiums, leading Business Schools (IIMs, IITs, NITIE) and industry associations (NASSCOM, CII, INFOCOM). He is a member of multiple professional bodies like The India CMO Forum, TiE, Gerson Lehrman Group (GLG) & Coleman and contributes to publications like IDG, and numerous other media publications. He has advanced degrees in Engineering and Business Management, and also did a Post Graduate certificate course in Modern Information Systems from IIT Mumbai. Currently he is the Senior Vice President & Chief Marketing Officer at NTT Com. Tony Dimasi is a micro-economist and retail analyst with has more than 35 years’ experience in advising retailers, shopping centre owners and developers, as well as service providers, on their location strategies and helping them deliver their optimal networks. He has worked throughout Australia, Asia and the Middle East over that period. 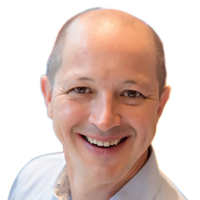 He is now GM, Global Business Development for GapMaps, a cloud-based platform which specialises in location intelligence, mapping and data analysis, offering global capability. A distinguishing feature of GapMaps is its unique combination of features and attributes which delivers unparalleled analytical capabilities within a highly user-friendly environment, requiring no technical expertise from the analyst. Using a wide range of demographic, government and industry data, viewed and analysed through a simple to use mapping platform, GapMaps enables clients to obtain powerful, cost-effective insights and to create revealing market intelligence for fact-based decision-making. Ravi is the Solution Architect for Smart City Solutions in New Business Accelerator program of Cyient Limited. Ravi has extensive experience on various sub-domains dealing with Smart Cities like GIS, IOT, Safety & Security, 3D Cities etc. Narendra Joshi, Co-Founder of one of the best IoT solutions Designing company in India. He along with his childhood friends started Convexicon in 2010 with a mission to ensure cleanliness in his country. Convexicon has been practically tracking every gram of waste generated in 5 cities of the India and 2 new cities will be added soon with its Smart Solid Waste management Solutions. When he is not working, you will find Narendra playing with his 3 year old daughter or reading some technology articles about IoT. His new hobby is farming and have purchased 2 acres of land to introduce IoT driven Farming techniques in his village. Evangeline Founder & CEO, Kobe Global, Technologies Pte Ltd.
With almost 10 years of experience in embracing digital marketing, Evangeline is the Founder & CEO of Kobe Global Technologies Pte Ltd. Established in 2016, Kobe Global opens new market segments for consumer brands with their 4,000 relevant celebrity, macro, micro or everyday influencers reaching 20M audiences. Kobe's revolutionary use of Artificial Intelligence tools in influencer marketing platform has achieved an international PCT patent that provides speed of access and measurable influencer solutions for brands. Within the 1st year, Kobe has crossed 7-digit in sales and has worked with over 150 brands including Pepsi, Changi Airport Group and Calvin Klein. Evangeline remains as a partner of PurpleClick Media, the 1st and only partner of Google, Facebook, Baidu in the region and has managed over USD$10 Million annual ad revenue across Singapore, Malaysia, and the Philippines in the region. Dr. Ng Yih Yng is the HomeTeam Chief Medical Officer in the Ministry of Home Affairs. 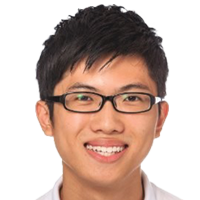 He is concurrently a practicing emergency physician at the Tan Tock Seng Hospital. Under his stewardship, the Singapore Civil Defence Force Emergency Medical Services have implemented many life-saving medical innovations such as a CPR/AED crowdsourcing mobile app, a national AED registry and the national prehospital emergency care masterplan. 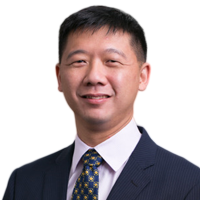 He is also newly appointed by TTSH as the Lead for the Digital and Smart Health Office for TTSH and the central health region of Singapore. 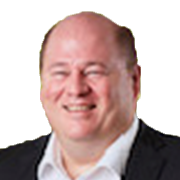 Mr. Brett Dixon joined Esri in 2012 and is currently the company's General Manager for Asia Pacific. His role sees him interact with many customers from across the region, providing him a unique insight into regional geospatial trends and challenges across many industries. Mr. Brett Dixon is a former Australian Army officer who has worked in the geospatial intelligence domain for the past 21 years. Previously, he was engaged as a senior consultant by the Australian Defence Force, providing strategic and operational advice on future Defence geospatial intelligence and C4ISR capabilities. For this work he was awarded a Chief of Defence Force Commendation in 2012. Mr. Dixon has contributed to the development of enterprise geospatial strategies and concepts, as well as managing the implementation of systems which realise those objectives. He has worked closely with organizations in National & State Government, Public Safety and Utilities. Mr. Dixon completed his Master of Engineering Science at the University of New South Wales focusing on Geographic Information Systems and Remote Sensing. 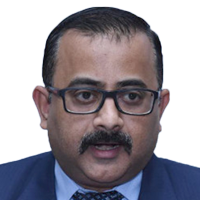 Vivek Kumar is Assistant Director-General of the National Trades Union Congress (NTUC). 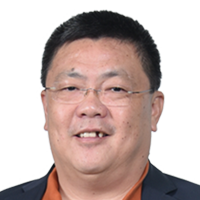 He is the Director of NTUC Membership & Professional Networks. 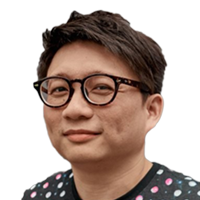 Under his leadership, his team grows the Labour Movement and builds relationships with 3-Generation NTUC members and networks, together with NTUC-affiliated unions and associations, NTUC Social Enterprises, NTUC U Associate professional guilds and professional groups such as startups and technopreneurs. 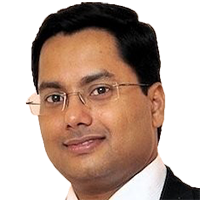 Vivek is presently a board member of NTUC Link Pte Ltd, and NTUC Club. He is also a Board Member of Enterprise Singapore & Assurity Trusted Solutions – a fully owned subsidiary of GovTech Singapore. An alumnus of the Harvard Business School, he is the honorary Chairman of the Asia-Pacific Advisory Board of Global Chief Marketing Officer (CMO) Council, a keynote speaker at regional conferences, and writes in selected business publications. As a Geospatial Application Specialist at Garuda Robotics, Rex has been helping customers make better decisions through the power of location. His focus is on driving, developing and delivering drone & geospatial solutions for agriculture (oil palm), mining, and smart city. He also designs and teaches industrial drone course for industrial inspection & urban/agriculture mapping in the region under Garuda Robotics Academy. 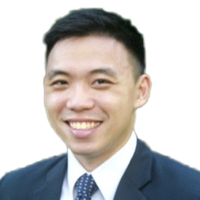 Rex is a 2016 graduate of National University of Singapore - Bachelor of Environmental Studies, specializing in GIS. Akhil is an electrical engineer from IIT Patna and is passionate about creatively applying technology to solve problems. By bringing together brilliant people and catalyzing them with great products, he aims to deliver value to organizations. As the Assistant Director at SkyMap Global, he spearheads innovative project development by adding the critical dimension of location and leveraging data analytics to the way governments and businesses work. His energy is only matched by his love for technology and he strives to be at the forefront of change. Vaidyanathan is a Serial entrepreneur, Innovator who works on creating innovative Greentech Products & Solutions to enhance Health, Comfort & Productivity of an individual. He focuses on in Combination technologies for the Products and Solution; He specializes in Air Quality (AQ) and its impact on an individual. He holds multiple patents in India, USA & Australia. He is an Engineer with MBA from IIM Bangalore. PAQS his new venture has created hypeardsr local AQ data platform, and leverages same to provide Context Aware Solutions. PAQS data platform provides AQ Solutions for Smart Cities, Smart Buildings & Smart Homes. PAQS has designed and created Healthcare solutions (PAQS Smart Inhaler). Vaidyanathan mentors entrepreneurs and consults with two Universities to train and induct “Entrepreneurship, Creativity & Innovation” in Students. 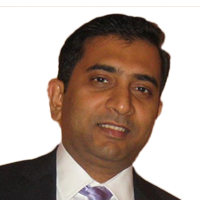 Hitesh is responsible for the overall Asia-Pacific operations of The Weather Company, an IBM acquisition. 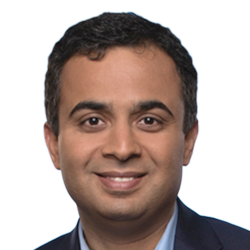 Prior to his role at The Weather Company, Hitesh was in Corporate M&A at IBMs corporate headquarters in Armonk, New York. He has also served as an IBM Client Executive for large industry accounts. He has over 13 years of international experience with Siemens, Booz & Co., and IBM. He is a member of IBM's General Manager Leadership Development Program. He holds an MBA in General Management from Columbia Business School and BS / MS in Electrical and Computer Engineering from Georgia Tech. 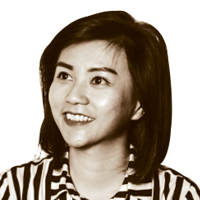 Elin Tan is Account Strategist of Public Sector, ASEAN. In this role, she is responsible to work with agencies to drive government initiatives. Align Autodesk solution into the AEC, Engineering, Natural Resources and Infrastructure, Manufacturing, and Media and Entertainment industries. 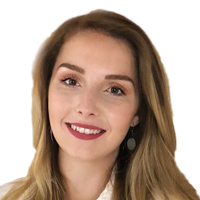 Elin began her IT career at Digital Equipment followed by Cisco Systems, where she was working out of US to provide innovative business analysis for Asia Pacific to the senior management. After years of that, she joined a series of multi-national companies where she has contributed the best knowledge, assisted in developing new markets and sustaining the growth for them. Elin has a proven track record in business planning and strategy, and a deep IT industry knowledge having served in the leadership positions. Ng Siau Yong is the Director of GeoSpatial and Data & Chief Data Officer at the Singapore Land Authority (SLA). He is responsible for driving and establishing a collaborative geospatial environment in Singapore. He oversees the formulation, design and management of the policy and programme for geospatial information governance, infrastructure and technology development, capacity building, and the use of geospatial systems in data analytics. Siau Yong is an urban planner by training. 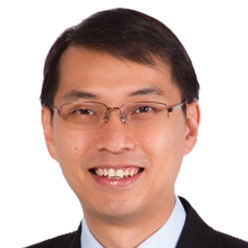 He has previously served a number of Singapore government ministries and agencies in strategic and local planning, land policy and land asset management. Siau Yong had been actively involved in tertiary education. He last taught Urban Planning and Urban Policy in undergraduate and postgraduate programmes as Adjunct Associate Professor with the National University of Singapore. Most of world's growth is driven by urbanization, with millions more people expected to urbanize by 2030. Tier 2 and tier 3 cities of between 200,000 and 2 million residents will drive the majority growth. And, this rapid urbanization has its challenges as it has severe implications on quality of life; such as water/air quality, congestion, good and quick public transportation, adequate housing, citizen security and safety. Governments and citizens need answers to many pertinent questions in their day to day life, such as, which road to take, which public transport is better, how long would it take to reach a place, what is the energy consumption within a locality, what type of grievances are being reported within a locality, so on and so forth. Key Performance Indicators (KPIs) are important metrics that reflect the underlying success or failure of key aspects of city life and give an indication to governments and organizations to better understand the services and utilities being provided. It's crucial to have KPIs established for each department and every facet of quality of life in cities. It's also essential to track these KPIs over time, so that one can see if cities are reaching their goals or not. And to do that, we need data, data from sensors feeding the inputs into a colossal big database within governments or organizations. Currently, data is in abundance, the more pertinent question is how this data can be quickly transformed into information to take decisions in real time. In today's fast changing world every entity is globally interconnected through advanced technology peripherals. With the growing demand to collect, manage, analyze and visualize data it has become a dire need for governments to have a geospatial platform for visualization and analytics which can integrate the spatial, non-spatial and temporal domains seamlessly. The ability to integrate within various applications, systems and hardware throughout an organization(s) allows governments, authorities and citizens to take decisions effectively and efficiently. Combination of Location analytics and Business Intelligence help answers these questions and enhances quality and accessibility of services, thereby improving citizens' lives across the urban-rural continuum, creating new opportunities for them and helping ensure that every citizen has a high quality of life. By visualizing the data real time and dynamically integrating with numerous sensors, further augurs into the Digital Smart Cities vision. Hexagon Geospatial solutions are set to cater to multitude of such uses, for customers from capturing 5D data, and to its latest visualization technologies supporting live connections to dynamic sensor feeds in a 3D environment. The result is a 5D digital reality – real-time, rapid fusion of multi-source content and the ability to perform analytics on-the-fly. M.App Analyzer is Hexagon Geospatial platform for Location Analytics and Business Intelligence. M.App Analyzer, takes the power of location analyses and business intelligence through interactive thematic mapping to a new level. With M.App Analyzer, users can quickly create a wide range of stunning location aware reports which give insights which were previously not possible. Use a wide array of charts to effectively explore multi-dimensional data in a self-guided, explorative, and interactive fashion. One can understand the patterns in the data, use the Business Intelligence tools to assemble intelligence products that have answers and meaning to their audience. Thus, powering the Digital Cities through Location Analytics and Business Intelligence and enabling the use of geospatial technologies in day to day working of governments and citizens to increase the productivity, improve the efficiency and to increase the reliability and accuracy of the data. The mastermind behind the ideation and launch of Cloudmining.sg, back in the year 2014, Peter eventually converted it into the largest cryptomining firm in the entire South Eastern market. Mining over a 1mil litecoin tokens (net present value $50mil in 2017), the company cemented its presence in the global cryptomining industry. At XinFin, Peter forms the core of the Blockchain advisory group pertaining to Blockchain Architecture. He aims to make XinFin-Blockchain a world class Blockhain platform. Pak Rusmin Widjaja has been a low-profiled eco-warrior fighting against climate change, his Biodiversity Reserve Project at Rimba Raya, at over 64k hectares, has more than 1k plant and animal species per hectare, and is the largest privately funded orangutan reserve in the world, it is also one of the world's largest repositories of carbon. where they engage satellite and drone based technologies to monitor fire hazard zones, to prevent forest fires in the peat swamp, that can cause massive smoke clouds and haze over S.E. Asia. 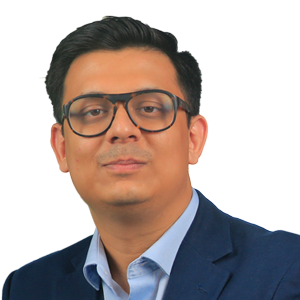 Deven Chhaya leads the Blockchain & IoT Practice in Accenture Digital for Asia Pacific and is currently involved in many transformational projects across various industries which have the potential to change the way we look at business in the traditional sense. Before joining Accenture he led the Smarter Cities business for ASEAN in IBM. With focus on transport, emergency management, water, buildings, public safety and other areas, he delivered increasing levels of service and better value for money. He has over 20 years of experience in Business Process Re-engineering and Enterprise Asset Management consulting. He holds an Honors Engineering degree in Electronics and is a Gold Medalist in the Nanyang MBA. Deven spent more than a decade working for an engineering conglomerate which exposed him to operational management in City Governments and industries like Public Utilities, Defence, Mining, Logistics and Oil & Gas. His depth of industry experience has seen him working with policy makers and senior executives in public sector organizations through to presenting to Government leaders at various summits. He also sits on advisory boards of new cities mainly involved in strategy development and project implementation through to partnering with private companies to deliver associated services. Andrea Bersan joined DigitalGlobe in May 2005 and currently serves as Vice President Global Industry Business Development with the responsibility of define strategy in emerging vertical markets and major commercial accounts, he was previously covering the role of VP sales for the EMEAR region until January 2018. Prior to DigitalGlobe Andrea served as Sr. Director of Solution Engineering at Autodesk Inc. creating innovative solutions as part of the location services division. Mr. Bersan has been working in the field of GIS and Remote Sensing for more than 20 years, as founder and CEO of successful start-ups in Location Based Services and GIS markets working on major projects with industry leaders such as Vodafone, TIM and FIAT Group. Mr. Bersan studied Economics and GIS systems at Ca Foscari and IUAV- University in Venice. Abhay is the Founder of SkyMap Global, An Earth Observation and Location Analytics company based out of Singapore. With a passionate team of 100 staff members across 9 countries in the India and South Asian Region. In a span of less than 6 years, under his leadership, the company has achieved numerous accolades including awards for innovation and entrepreneurship. The solutions focus on solving real world problems affordably using AI and ML. He now looks to steer the company towards cutting edge solutions using block chain. His passion for technology is only matched by his enthusiasm for strategic collaboration towards mutual growth.